Pigmented lesions occur when an abundance of melanin is concentrated close to the surface of the skin. Melanin is the dark pigment present in the skin and is produced by melanocytes. Technically referred to as solar lentigines, we often refer to them as age spots. Nothing makes you feel better than seeing your freckles, sun spots, skin discolouration and age spots disappear leaving a fresher and younger looking you! Forma-tk’s IPL Skin Pigmentation treatments work by transmitting heat from the IPL F-SR applicator to the pigmented skin areas. The IPL technology is attracted to dark pigmentation, effectively drawing the discolouration to the surface of the skin, allowing the dermis to begin the healing process of correcting the blemishes over time. 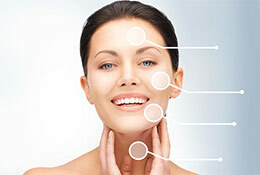 IPL Photo Rejuvenation treatments are often the perfect complement to Skin Pigmentation Treatments. When used in conjunction with each other, you can not only treat pigmentation, but also rejuvenate your skin leaving you with even skin tone and an even clearer complexion. Condition Skin pigmentation, Skin lesions, Liver spots, age spots, Brown spots, sun spots, sun damage, skin discolouration, freckles. Results Diminishing pigmentation, eliminates sun spots, fade and eliminates sun and age spots. Refresh the skin from sun damage, solve skin discoloration and eliminates freckles. Treatment time 5-30 min depanding on the teatment area. Recovery time Minimal downtime, slight redness for 1-2 days, 48 hours of sun avoidance. Minimise or eliminates the appearance of pigmentation. Minimise or eliminates sun spots, age spots and freckles. Solves skin discoloration quickly and effectively.